What you don't know is that he has an elaborate cage built into a secret basement under his garage. And the food that he's carefully shopping for is to feed a young woman he's holding there against her will—one in a string of many, unaware of the fate that awaits her. This is how it's been for a long time. It's normal... and it works. Perfectly. Then he meets the checkout girl from the 24-hour grocery. And now the plan, the hunts, the room... the others. He doesn't need any of them anymore. He needs only her. But just as he decides to go straight, the police start to close in. He might be able to cover his tracks, except for one small problem—he still has someone trapped in his garage. 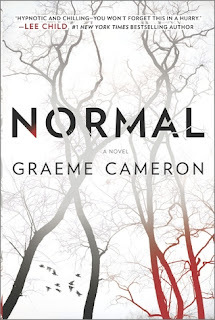 Review: A book from the perspective of a serial killer? Yes, I'm in. I love the Dexter books and I loved You, so I fully expected to love this one too. 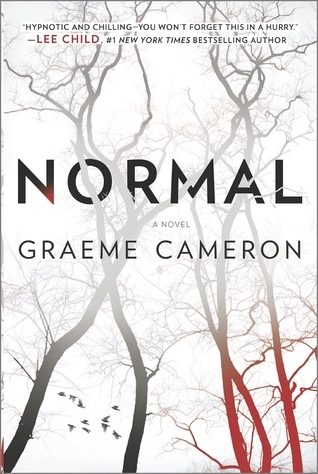 'Normal' tells the story of a nameless serial killer who kills and sometimes abducts girls. My biggest challenge reading this is that too much is left to the readers imagination. I don't need everything spelled out in detail and I understand the concept that this guy could be anyone...but I just didn't care or connect with the character on any level. There are a few details about his childhood (mother abandoned the family, father was mean) and we know Roger Moore is his favorite Bond. That's it. No exaggeration. No name, no physical description, no idea what he does for a living or how he has money, no idea what his motivation is for killing. No idea why he targets specific women. He's not a vigilante (like Dexter) nor does he have any good insight on people (like Joe from You). He's not funny and he's not interesting on any level. The main plot was so far fetched, I couldn't stop rolling my eyes. Definitely not my favorite book-skip this one.